Dr. Rob Sheehan is the volunteer blog editor of Insights With Impact. He has more than thirty years of executive management experience, including eighteen years as CEO of two different national nonprofit organizations. 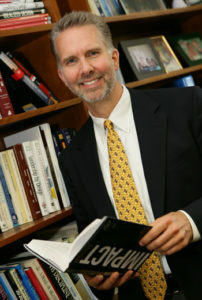 He is currently Academic Director of Executive MBA programs at the Robert H. Smith School of Business at the University of Maryland – College Park and Affiliate Professor at the university’s Do Good Institute. Rob is also Principal of Sheehan Nonprofit Consulting where he provides consulting services in strategic planning and leadership and teamwork development for nonprofits. He is author of the book, Mission Impact: Breakthrough Strategies for Nonprofits, and the free e-book, The Power of Goals.